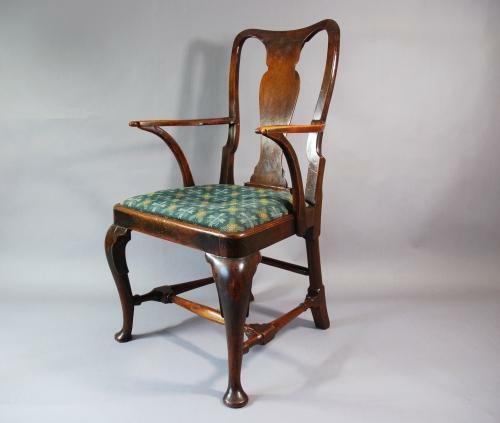 An 18thc walnut vase back open armchair of wonderful patina, with an upholstered drop in seat. The base is sophisticated for the period, with cabriole legs, leading to a pad foot & supported by a turned stretcher. The arms are a later addition, probably added approx 50 years later, which are similar to those found on a standard Windsor chair. This adds to the overall character of the piece.